CLEVELAND + AKRON STAGING SERVICES. WE OFFER SIMPLE STAGING CONSULTATIONS WITH EXISTING DECOR (STARTING AT $125+) TO FULL FURNITURE STAGING & VIRTUAL STAGING SERVICES, FITTING YOUR NEEDS AND BUDGET! Pick colors, details, and even provide a photo sample of what decor you like! What's this fabulous virtual staging for? Please leave any special notes or instructions here. Additionally, if you want to send reference photos for the project you can email them to liza@lizasue.com. I understand that payment in full is required for this project before Liza Sue Productions will begin virtually staging. I understand that it's my job to clearly communicate my expectations for each room prior to beginning the process, using photos if I'd like, and that any revisions requests are an additional cost. We'd love to give you a FREE STAGING CONSULTATION to help show you how to sell your listing fast! If you're looking for something simpler we also we offer basic staging consultations starting at $125 for the first 90 minutes. These basic staging consultations include a room-by-room consultation emailed to client after the meeting. This list contains easy and affordable ideas of what owners can do on their own to change the look of the house on a budget along with a Pinterest inspiration board. Practical and affordable advice on updating simple things like - paint color, simple decor and furniture updates and rearrangements, affordable fixture and lighting updates, organizations tips and more! We start by walking through your space with you andtaking notes. Our budget-minded designers with highly intuitive, artistic minds come up with creative solutions on the spot to save you from spending $1,000s on unnecessary updates. We focus on the design factors that will get you a ROI, instead of wasting time and money on updates that won't bring you anything back. This is an invaluable service for both sellers and agents, starting at only $125! After the consultation, you can always ask follow up questions when picking out flooring, decor and furniture. Our designers are also available at an additional hourly rate to shop for you and come back to do the actually re-staging and design! Thorough, room-by-room consultation for staging that sells. Detailed room-by-room list of consultation is provided after consult along with a Pinterest board that includes product links/ideas to items discussed. NOTE: Some of the below examples cost ZERO DOLLARS, rooms were simply rearranged and items from around the house repositioned/reorganized - the before/afters are amazing! Read our very helpful blog article on 15 Tips to Sell Your House Fast Here. ( Feel free to share this unbranded link with all your clients before the photographer comes out! ) Sometimes it can be challenging for agents to discuss out-dated decor that glares negatively at home-buyers in the MLS photos. Don't worry - we can help! This article will prepare you sellers with basic, easy and mostly free tips and ideas on how to maximize the space, design and feel of the home with easy staging tips! Have a house that really needs help? We'd love to offer our Premium Full Service or Basic Staging Packages above and help you get the listing ready. As professionals, we'll delicately and politely explain the financial benefits and ROI our different staging services can bring them. More money in their pockets equals happy clients and provides a win-win experience for everyone! 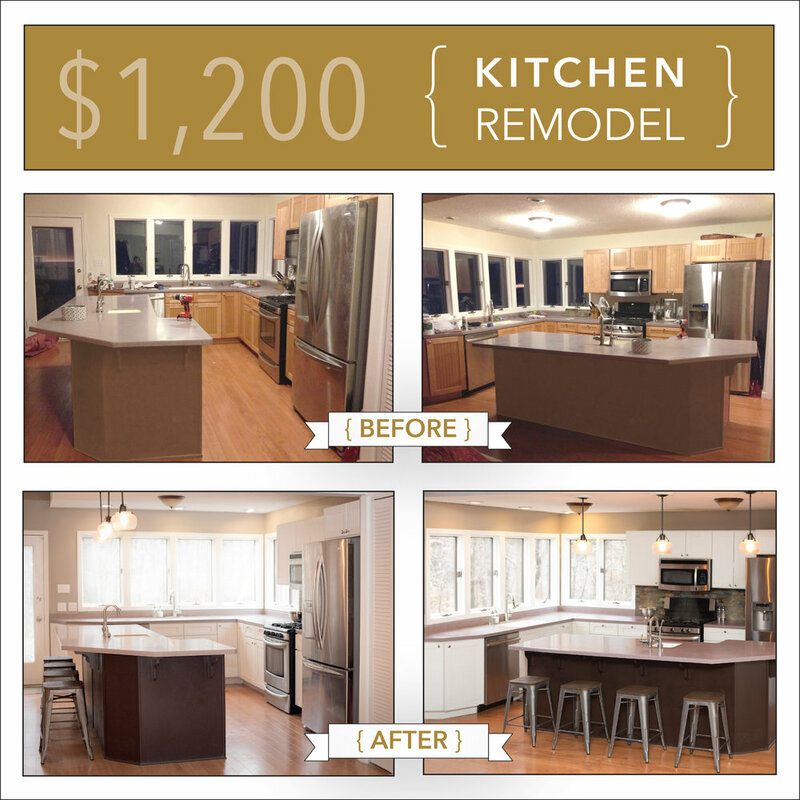 See the dramatic BEFORE/ AFTER photos below from one Seller who read the above article and re-listed their home using our photographers! Prior to our marketing their home sat on the market for over 6 months. After we re-marketed the property, it sold for over asking price in 3 days! Contact us today to help you sell your listing FAST and for MORE MONEY!